View the TRAILER. Who are the real people shamed and stigmatized by mass incarceration? The Faces of Mass Incarceration documentary sheds light on this question, eliminating much of society’s fear of a long misunderstood population – the prison family. This documentary and accompanying Facilitator’s Guide is a compelling resource for educators and advocates, elevating society’s awareness and understanding of an all too often wrongly maligned and shunned population. By putting a face of those whose lives have been most directly affected by mass incarceration, this documentary substantially reduces erroneous stereotypes and unnecessary fears. This documentary and accompanying Facilitator’s Guide is a compelling resource for educators and advocates, elevating society’s awareness and understanding of an all too often wrongly maligned and shunned population. 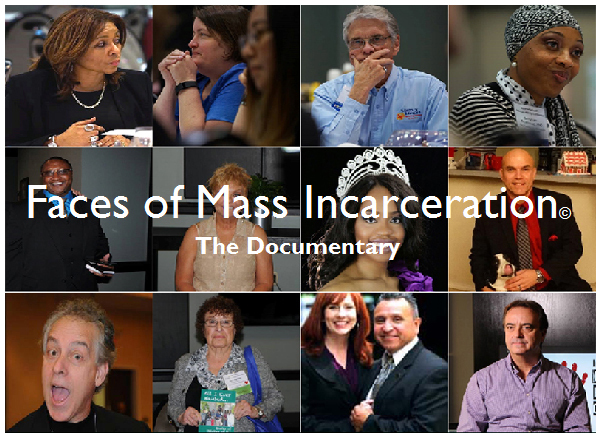 By putting a face of those whose lives have been most directly affected by mass incarceration, this documentary substantially reduces erroneous stereotypes and unnecessary fears.